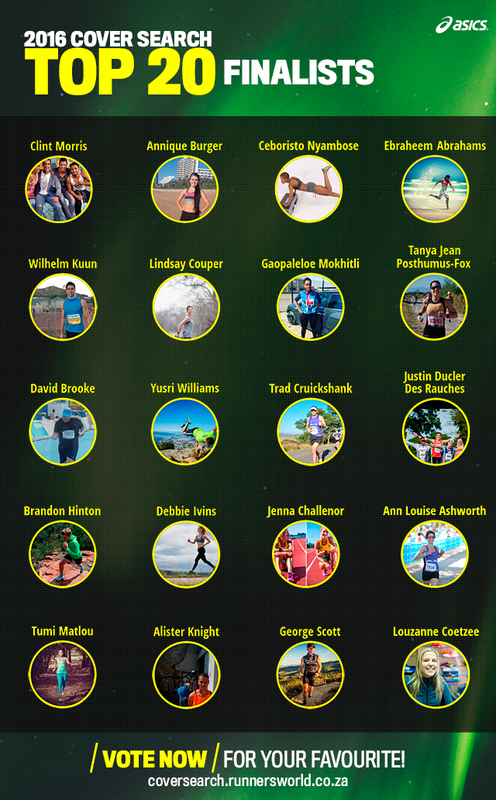 RW Cover Search Top 20 Finalists! The votes have been counted, after hundreds of inspiring entries, here are this year’s Top 20 Runner’s World Cover Search finalists! Vote for your favourite star and get them on the cover!